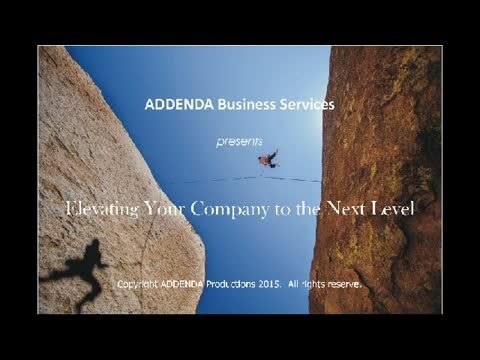 ADDENDA Business Services has an office in Canandaigua, NY located in the heart of the Finger Lakes Region of Upstate New York, just east of the City of Rochester, NY. Over 2 million years ago, Glaciers cut out 11 long and narrow lakes that resemble fingers. The Finger Lakes area is New York's largest wine producing region. Over 100 wineries and vineyards are located around Seneca, Cayuga, Canandaigua, Keuka, Conesus and Hemlock lakes. Because of the lakes' great depth, they provide a lake effect to the lush vineyards that flank their shores. Retaining residual summer warmth in the winter, and winter's cold in the spring, the grapes are protected from disastrous spring frost during shoot growth, and early frost before the harvest. In addition, ADDENDA has an office in the historic Village of Saranac Lake, NY located in the heart of the Adirondack State Park, which is the largest park and the largest state-level protected area in the contiguous United States. Our office is in an historic, Victorian mansion, that was once a boarding house during the peak of the infamous Saranac Lake "Cure Cottages" for those with tuberculosis (TB) in the 1800 to mid 1900's. The Adirondacks covers some 6.1 million acres, a land area roughly the size of Vermont and greater than the National Parks of Yellowstone, Yosemite, Grand Canyon, Glacier, and Great Smoky Mountains combined making the Adirondack Park the largest National Historic Landmark. Our locations enables us to provide additional help to businesses tailored to the tourism industry. Hotels, Bed and Breakfasts, restaurants, amusement parks, ski resorts, wineries and breweries, artists, specialty shops, entertainment, and the like. Whether your business is in Buffalo, Rochester ,NY, Canandaigua, NY Syracuse, Messina, Malone, NY Plattsburgh, NY Watertown, Glens Falls or Saratoga Springs, NY, technology enables us to work with you regardless of where you are in the State of New York. Please let me hear from you as to your needs and desires to determine if we can help you grow your company, stand-out from your competition and become an extraordinary service provider in the eyes of your clients, customers, patients or members. Call us at 888-851-0414 or send us a note below. Be sure to visit our BLOG that features successful businesses throughout Upstate NY that attribute their success by following the principles of "Doing Business Adirondack Style!" View of the Adirondack High Peaks from Baker Mountain, Saranac Lake, NY Photographer Gordon Bryson. 2013 Copyright ADKgrub. All rights reserved. Indian Head - Adirondack Park. Photographer Gordon Bryson. 2012 Copyright ADKgrub. All rights reserved. View of Adirondack High Peaks from Cascade and Porter Mountains. Photographer Gordon Bryson. 2012 Copyright ADKgrub. All rights reserved.